Quark is a traditional cultured or soured-milk soft cheese enjoyed all over Germany, Poland and Austria. You can eat it straight like cottage cheese, as a spread on bread, for dessert with fruit and you can bake with it. It’s great sprinkled with cinnamon & drizzled with honey, or mixed with fresh herbs & drizzled with olive oil or as an ingredient replacing sour cream, yogurt or mayonnaise in dips, dressings and spreads. Quark can be made either low-fat or extra creamy by adding cream back in at the end. I like mine best made with whole, non-homogenized (cream line) milk. 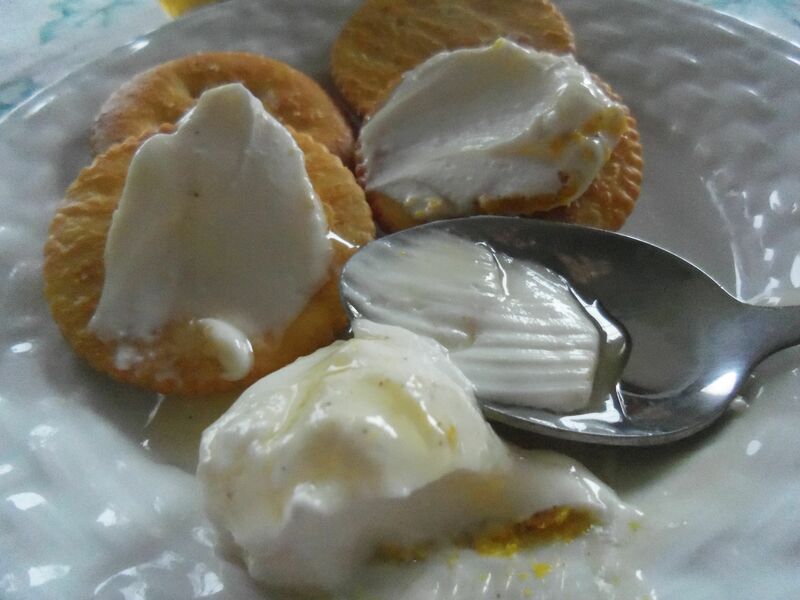 Quark is a great cheese to begin with since it’s so easily made with simple ingredients found in any kitchen. The culture which causes the milk to sour & thicken is in the buttermilk so be sure you buy buttermilk specifically labeled as having live cultures or you will get the wrong kind of bacterial growth. We began Monday with a quest to find some non-homogenized (or cream line) milk produced here at home. Not to worry if you missed that part, you can still make Quark with your regular milk, but the yield and the curd may be negatively impacted. To learn more about the best milk choices for home cheesemaking and how to adapt when the best choice isn’t available, this is an excellent article from our friends at New England Cheesemaking Supply. They wrote the book on home dairy, literally. Better yet, you still have time to complete the first part of the challenge – get out there and find some locally produced cream line (non-homogenized) milk – that is the point, remember? 1 gallon milk – whole, 2% or skim. Not ultra-pasteurized. Non-homogenized Cream line milk is the best. 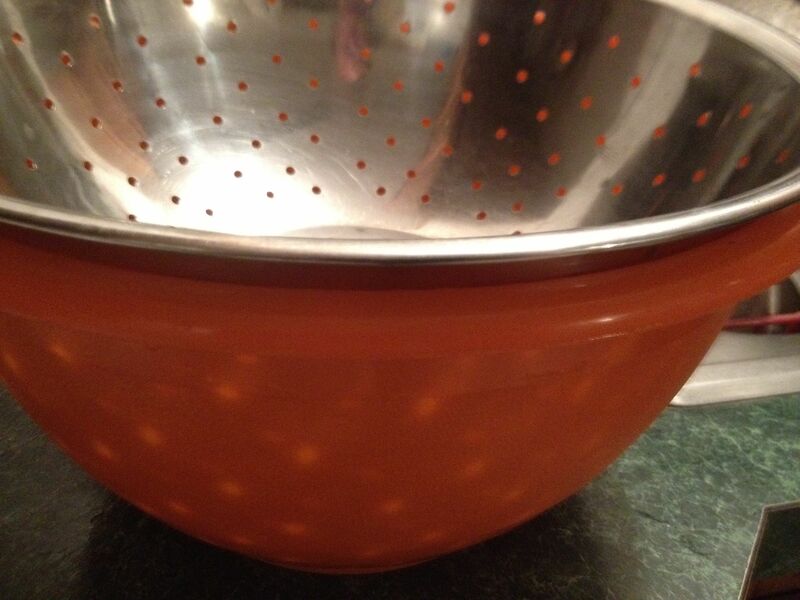 Colander & clean tightly woven cloth. 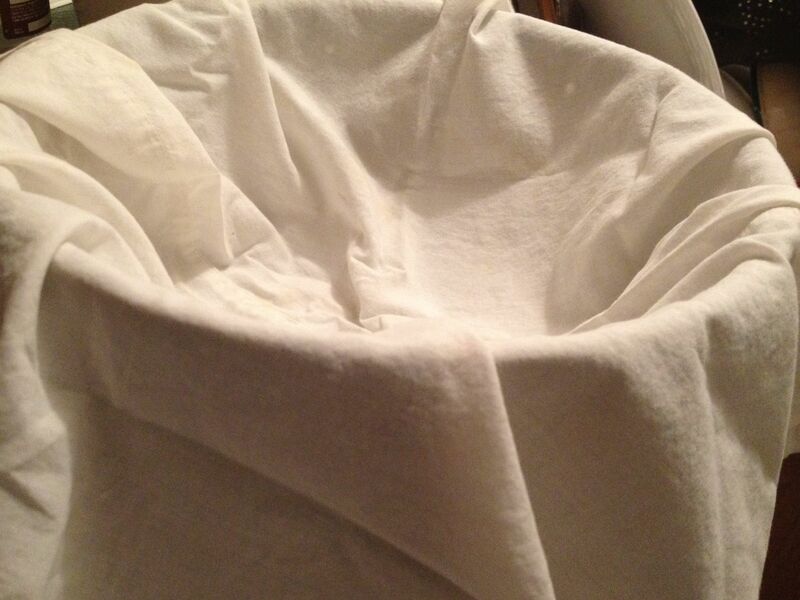 This can be an old pillowcase, dress shirt, paper coffee filter (for smaller batches) or non-terrycloth dish towel. Nylon Tricot from the fabric store also works well. What does not work well are the packages of cheesecloth you can buy at the grocery store. Large bowl to nest the colander in – be sure there’s some space between the colander and the bottom of the bowl or the cheese be sitting in the whey and won’t drain. 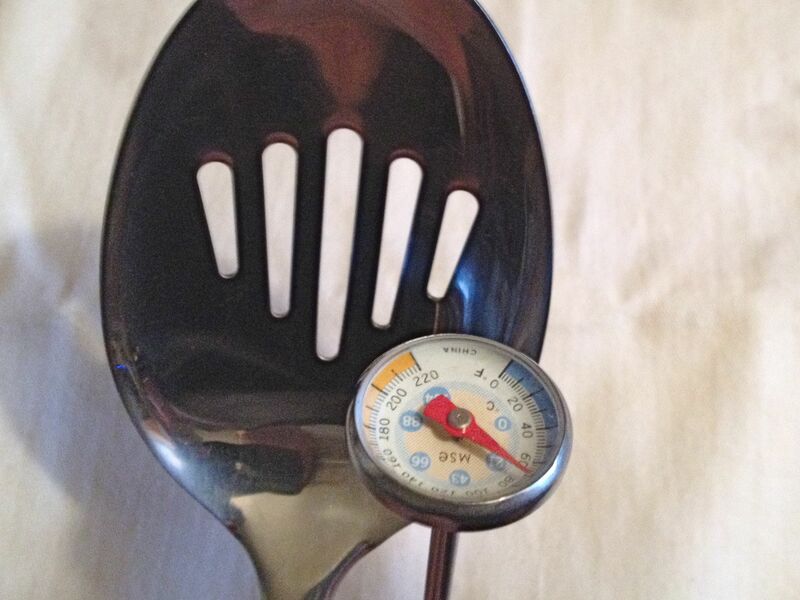 Heat the milk to 86ºF. You do this by placing the pot of milk directly on the burner. Make sure to heat the milk slowly and stir it gently as it heats. Pay close attention at this step – it’s not exciting, but burning the milk will flavor the cheese and not in a good way. Once the milk is at 86º, stir in the buttermilk and remove from heat. Find a cool, quiet place in your house that’s not too humid or too damp and be aware that any powerful odors will be absorbed by the milk. 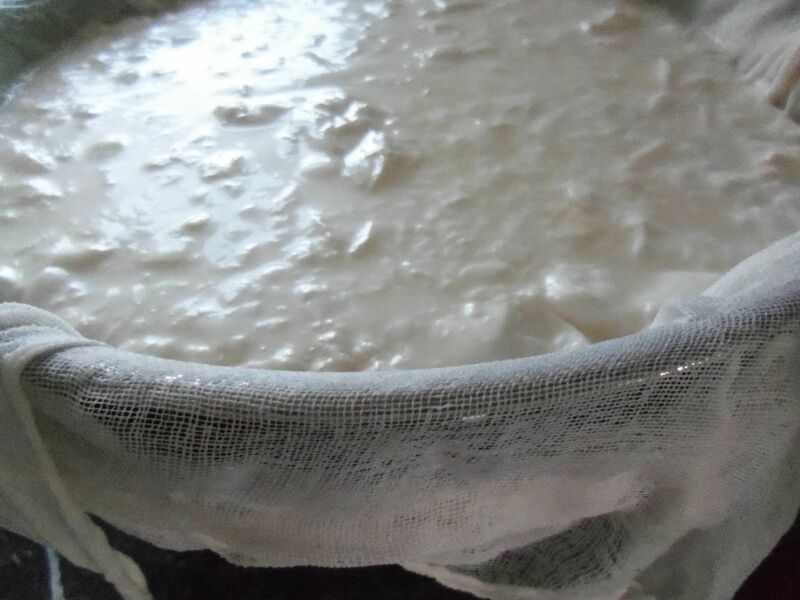 Leave the pot of milk covered and undisturbed for 12 to 24 hours while the culture in the buttermilk works to produce acid and coagulation of the curd. The temperature should be allowed to slowly drop to 68-71F during this time. The actual amount of time will vary depending on your milk, temperature & humidity and how firm you want your final Quark. 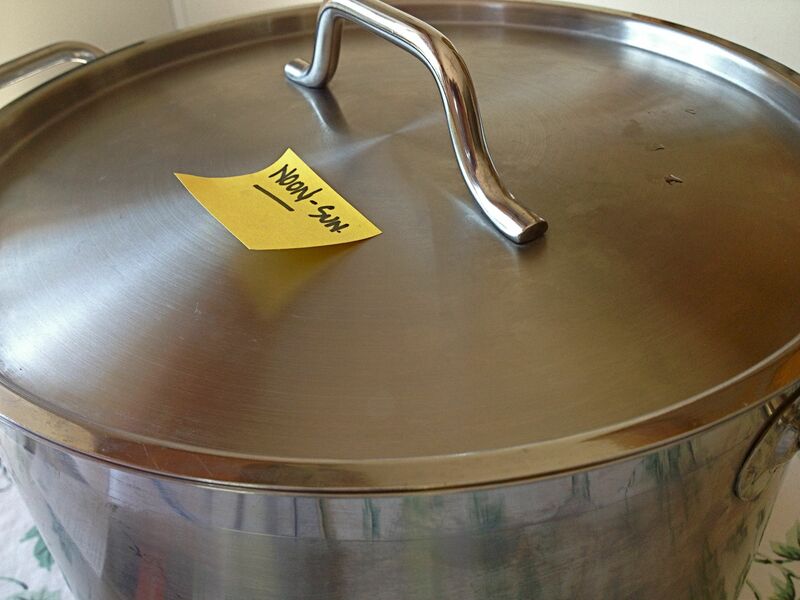 Note the time you started – I just write it on a post-it and attach to the lid of the pot. A thin layer of yellow liquid (whey) forms on the surface and the curd begins pulling away from the sides like soft gelatin. When you insert a knife blade flat side up at a 45 degree angle into the curd and lift up gently, the cheese will split & break cleanly, like softly set gelatin. The curds can now be transferred to a colander lined with butter muslin. Simply pour the contents of the stock pot gently into the cloth-lined colander. The 4 corners of the cloth are brought together and tied off to form a draining bag. 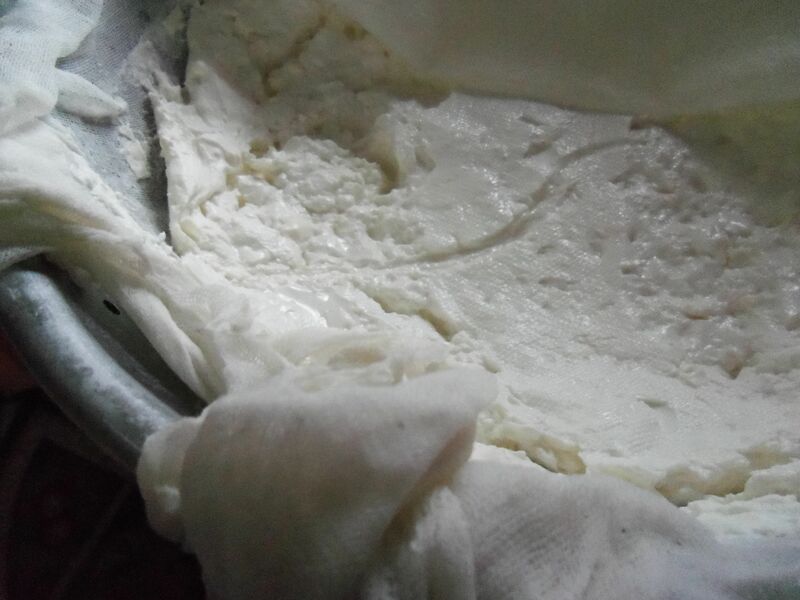 If you like, this can be opened at intervals during the draining and the curds scraped from the cloth to the center for better draining although I rarely bother. Allow to drain for 12-24 hours (or longer if you like your cheese really stiff) in a place where the temperature is at 68-72F. If you drain in the fridge, it may take longer, but will still get there. The actual draining time will determine the dryness of your final cheese. Eat quark! 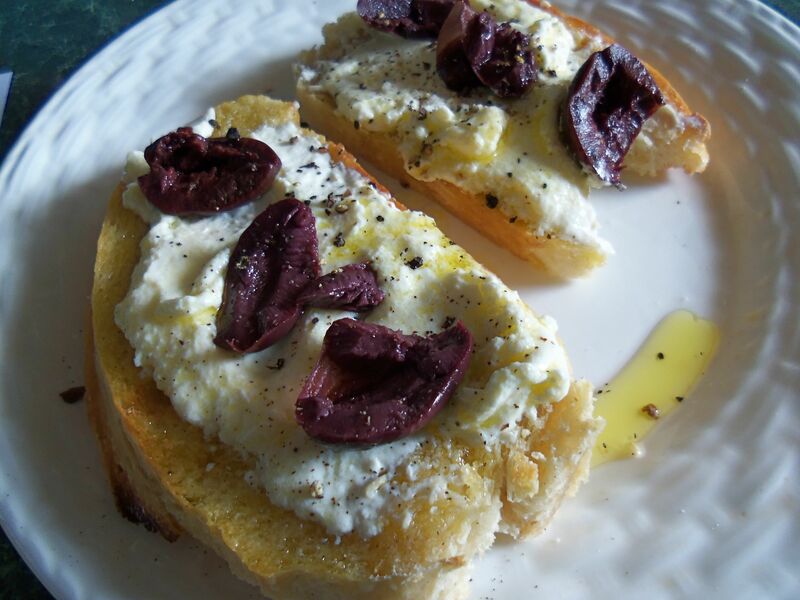 spread on bread, top with olives & drizzle with olive oil or go sweet and sprinkle with cinnamon & drizzle with honey. Good with fruit or crackers. The beauty of making your own cheese is that you can make it exactly the way you like it. Choose a buttermilk you enjoy to use as a culture, because your cheese will taste like the buttermilk. If you drain it longer, your cheese will be drier. If you use low-fat milk, your cheese will be more tart and yield less. Quark does not traditionally have salt, but since it’s my cheese, I can make it any way I want. I stir in ¼ – ½ tsp kosher salt before storing my quark in a recycled 32 ounce yogurt container. The container is usually nearly to very full. One gallon should yield a nearly full 32 ounce container, although yield will be affected by the firmness of your curd and the amount of fat in the milk (higher fat content typically yields more cheese). 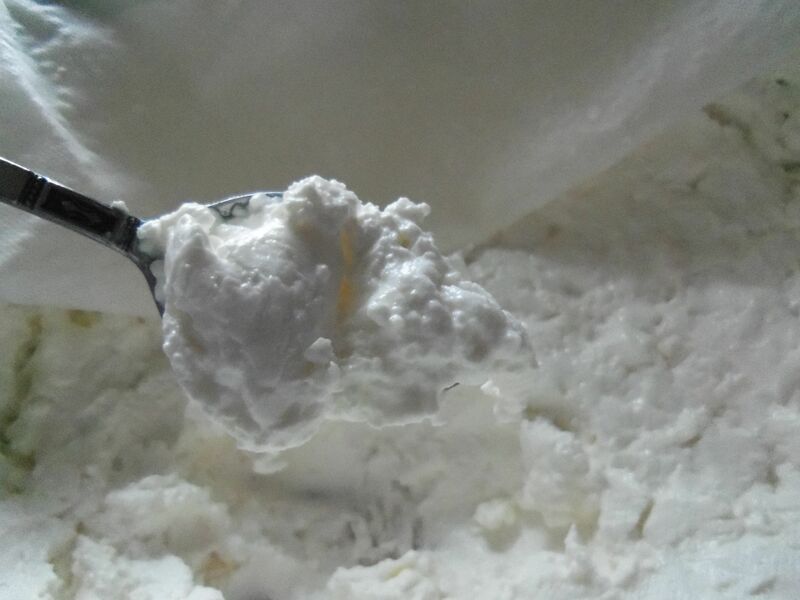 Quark also has a slightly lumpy texture – you can whip it smoother if you prefer. Visit us here and leave a comment and register to win a $25.00 gift certificate from our friends at the East End Food Co-op – a perfect place to visit when you’re on a dairy exploration mission! To be eligible, comments must be posted by midnight Sunday, September 16. What did you think of the money savings and/or quality difference. Okay, people, you have your mission: Get Quarking! Thanks for sharing this, I will try this sometime it looks tasty. Wow, I have never tried this and would like to. This looks like a great winter weekend project.